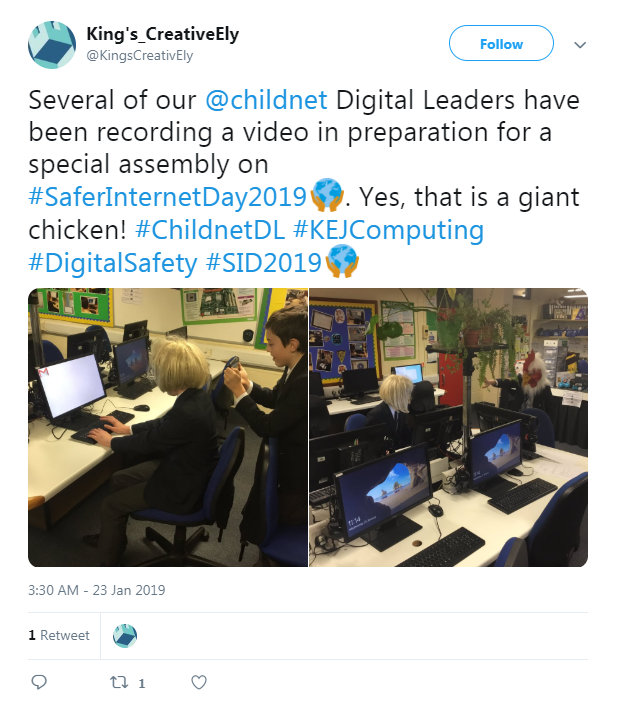 With Safer Internet Day coming up on 5th February, the Digital Leader’s preparations are in full swing! One of our brilliant Digital Champions, Jess, attends Selston High and is helping lead activities this Safer Internet Day. They are planning to have some great and engaging assemblies for each year group in the school, and their Digital Leaders are helping staff to deliver a lesson on consent to students in Years 8&9. They are also pledging, as a whole school, to take positive action to make the internet a kinder place – fantastic stuff! 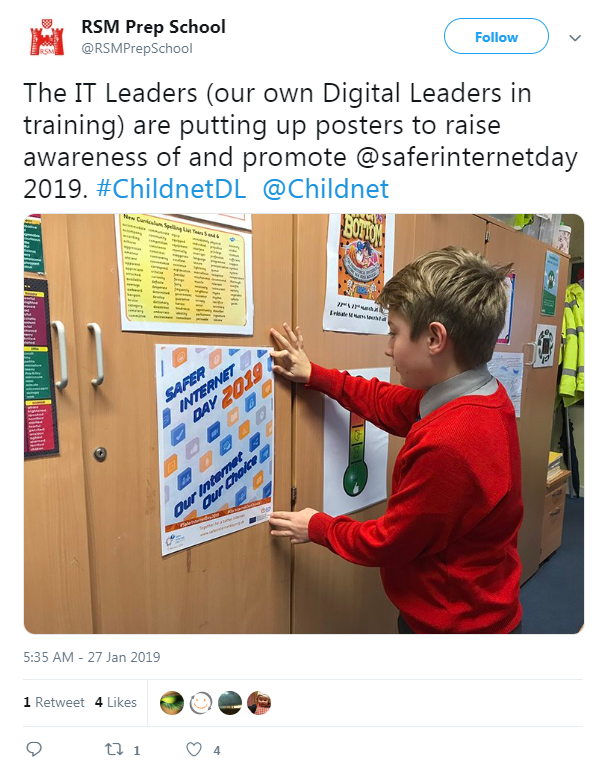 The Digital Leaders at Reigate St Mary’s Preparatory and Choir School have been busy putting up posters in order to raise awareness of and promote Safer Internet Day. Great work Digital Leaders! This blog was originally posted on the UK Safer Internet Centre website.